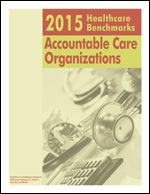 The use of low-value care and the associated cost is a significant concern in the U.S. healthcare system—the National Academy of Medicine (formerly the Institute of Medicine) indicated an estimated $765 billion of wasted healthcare expenditures in 2013. 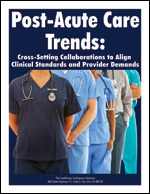 However, solutions to measure, identify, and eliminate low-value care are challenging and complex. 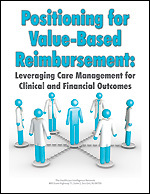 To date, most efforts aimed at reducing low-value care have been limited to areas where there is a high degree of consensus that the care rendered is low value, according to a new infographic by the University of Michigan Center for Value-Based Insurance Design (VBID). 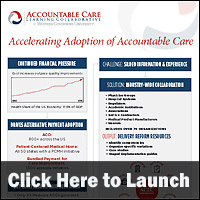 The infographic examines how VBID can address the issue of low-value care. Medical technology, devices, robotics and procedures are moving at an astounding rate, ushering us into an innovative new era of healthcare, according to a new infographic by NaviSite. However, healthcare IT infrastructure, data management, security and access are not keeping pace. 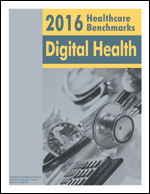 The infographic examines technology use in healthcare, patient expectations and patient privacy and security challenges. The role of IT in healthcare delivery has expanded dramatically in just the last few years—and so has the threat from data thieves. A single, stolen healthcare record is worth hundreds of dollars on the black market—creating an estimated $6 billion cybersecurity problem for the industry as a whole, according to a new infographic by NaviSite. 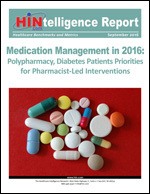 The infographic examines the latest data on the healthcare security problem and a seven-step plan for protection. Technology now has a role in nearly every aspect of a person’s life, including healthcare, according to a new infographic by Minute Women. The infographic examines how technology is being used in healthcare, global investments in healthcare technology companies and investment categories and the reasons for health technology growth. 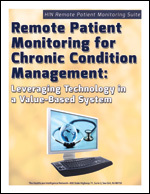 It may seem like telemedicine has made a recent advent, taking healthcare’s center stage in the last decade. However, the idea of telemedicine and uses for it have been around for 100 years, according to a new infographic by CDW Healthcare. 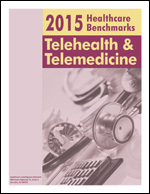 The infographic examines telemedicine highlights over the years. 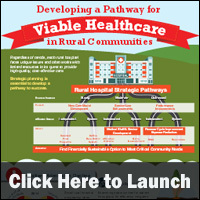 Rural hospitals face unique issues and often work with limited resources in their quest to provide high-quality, cost-effective care. Strategic planning is essential to develop a pathway to success, according to a new infographic by PYA. The infographic delves into five trends impacting rural hospitals and provides strategic advice for rural hospitals evaluating these trends. 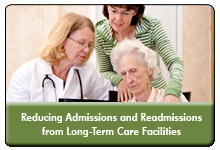 As part of its RAVEN (Initiative to Reduce Avoidable Hospitalizations among Nursing Facility Residents) project, University of Pittsburgh Medical Center (UPMC) has collaborative agreements with 18 nursing homes aimed at improving the quality of care for people residing in long-term care (LTC) facilities by reducing avoidable hospitalizations. In 2012, UPMC was one of seven organizations awarded a Centers for Medicare and Medicaid Services (CMS) grant to reduce potentially avoidable hospitalizations. 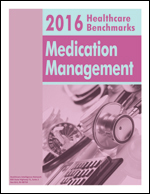 While all of the CMS sites showed a general reduction in Medicare expenditures, the year-three evaluation report found the RAVEN program was one of two programs that significantly reduced avoidable hospitalizations and costs. UPMC was approved this year for Phase 2 of the program, which goes live October 1st and will test whether a new payment model will further impact the results achieved in Phase 1 of the program. 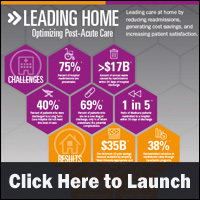 Hospital-Nursing Home Collaborations to Reduce Avoidable Admissions and Readmissions: A UPMC Case Study on Curbing Long-Term Care Hospitalizations, a 45-minute webinar on August 4th, now available for replay, April Kane, UPMC’s RAVEN project co-director, shares the key details of the RAVEN program and how UPMC is preparing for Phase 2 of the program.